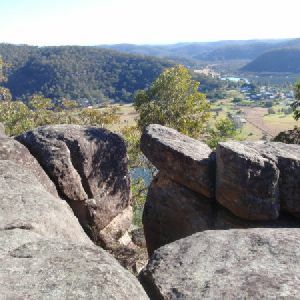 This beautifully situated picnic area is located a short distance along an unsealed road, off Wisemans Ferry Rd, about 5.5km east of Wisemans Ferry. 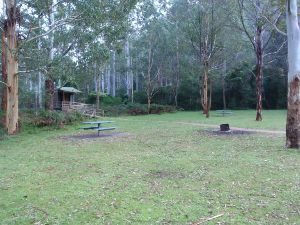 There are picnic tables, fireplaces, an information board and pit toilets. 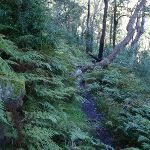 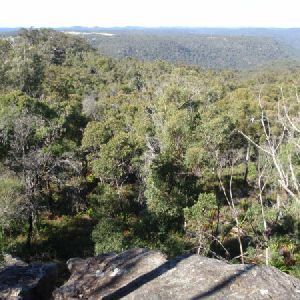 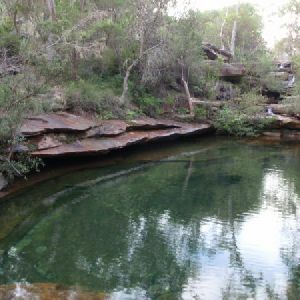 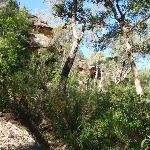 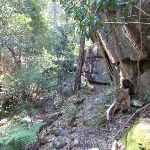 There is some excellent bush walking in the area with two signposted circuit walks starting from the end of the picnic area. 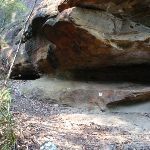 There is a ‘large group’ camping area adjacent. 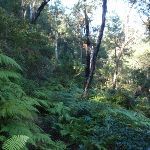 From the Mill Creek picnic area (signposted on Wisemans Ferry Rd, about 6km east of Wisemans Ferry crossing), the walk crosses from the information signs to the the ‘Start/Finish’ walking track signpost at the far end of the picnic area. 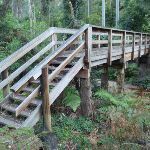 Turn sharp left: From the signposts at the end of Mill Creek Picnic area, the walk crosses the picnic area to a visble handrail and steps going down to a wooden bridge. 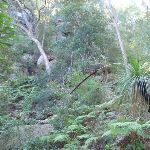 The walk crosses the bridge and bends to the left, following the bush track. 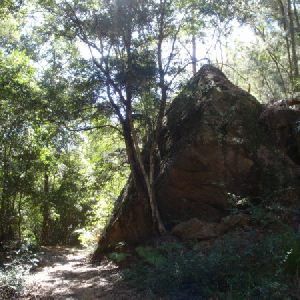 After climbing gently around the hill for a while, the track climbs, steeply at times, through areas with beautiful boulder and moist forest scenery. 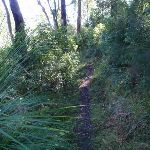 As the track climbs higher, it moves through drier forest and zigzags up the side of the hill. 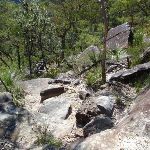 Keep an eye out for the track markers, ensuring you follow a cluster of markers up over some stepped rocks. 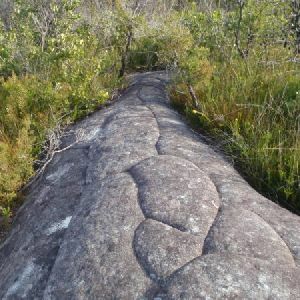 After reaching the top of a ridge, the track swings to the left and climbs along the ridge line, passing over the small hill and down the ridge line on the other side. 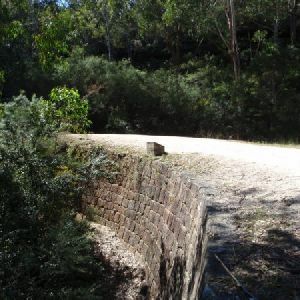 The track then passes a track marker on the right, keeping the large open rock platform to the left, and arrives at the junction on a small rock platform (the main track bends to the right here, going past a track marker with an old arrow nailed to the tree above it). 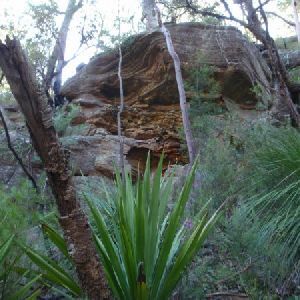 There are minor tracks from this small rock platform to the nearby, large open platform with nice views. 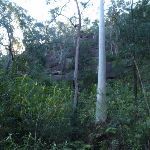 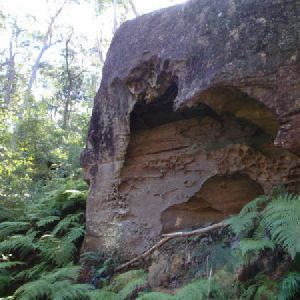 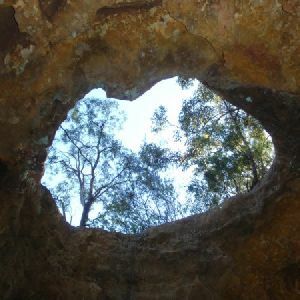 This informal, unfenced lookout is on a large rock platform on the northern part of the 11km Circuit, in Dharug National Park. 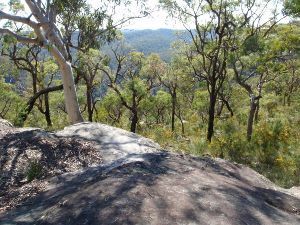 The nice views and atmosphere make this a good spot for a break while doing the circuit walk. 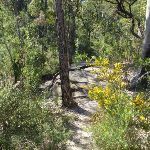 Around 2.1km of this walk is very steep, whilst the remaining 100m is flat with no steps. 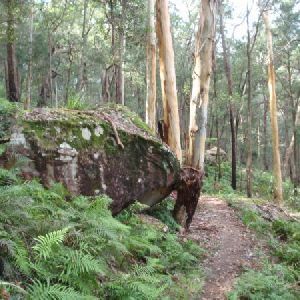 Around 2.1km of this walk follows a rough track, where fallen trees and other obstacles are likely, whilst the remaining 100m follows a clear and well formed track or trail. 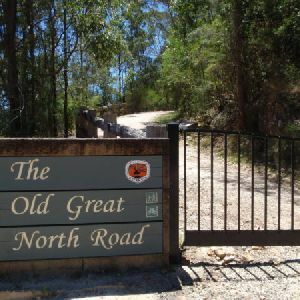 Around 2.1km of this walk has directional signs at most intersection, whilst the remaining 100m is clearly signposted. 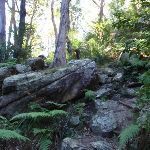 Around 2.1km of this walk requires some bushwalking experience, whilst the remaining 100m requires no previous bushwalking experience. 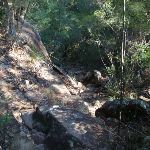 Around 2.1km of this walk is affected by storms that may impact your navigation and safety, whilst the remaining 100m is not usually affected by severe weather events (that would unexpectedly impact safety and navigation). 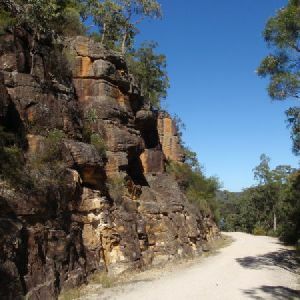 A list of walks that share part of the track with the 11km Circuit northern lookout walk. 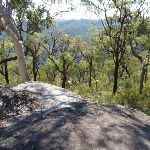 A list of walks that start near the 11km Circuit northern lookout walk. 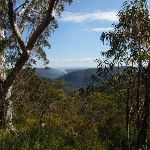 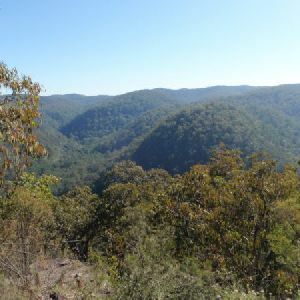 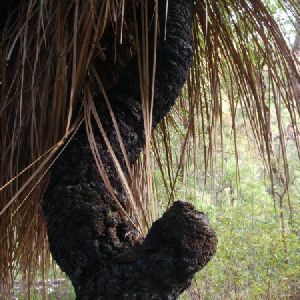 http://new.wildwalks.com/wildwalks_custom/includes/walk_fire_danger.php?walkid=nsw-dharugnp-1cnl Each park may have its own fire ban, this rating is only valid for today and is based on information from the RFS Please check the RFS Website for more information.